At YMCA Victoria we are committed to providing a safe environment for all children and young people. Read our Safeguarding Children and Young People Policy. We recognise our legal, ethical and moral responsibilities to prevent work related injury and illness. The YMCA is committed to providing safe places of work that do not place the health and safety of any person at risk. Read our Occupational Health & Safety policy. We only store the data we need to conduct business, in a secure location with limited access, and will only contact you when we have your permission. We are committed to complying with all privacy legislation, but if you would like to contact us about anything relating to the privacy of your data, please email vicoffice@ymca.org.au. Need more details? Read the full version. The YMCA respects the privacy of our clients, members, participants, staff, volunteers and visitors. This Policy meets the requirements of the Commonwealth Privacy Amendment (Enhancing Privacy Protection) Act 2012 (Privacy Amendment Act), The Privacy Regulation 2013, made under the Privacy Act and related Victorian Government legislation (Health Records Act 2001 and the Information Privacy Act 2000). 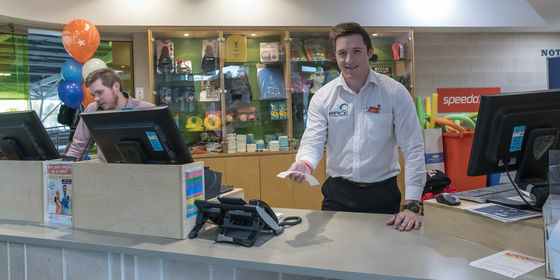 YMCA Victoria collects personal information directly from your use of the YMCA Victoria website and any membership, attendance or subscription you make to receive our services or information, including via email. The YMCA collects personal information directly from our clients, members, participants, volunteers and visitors through electronic, verbal, and written correspondence. The YMCA may disclose personal & health information to organisations/individuals outside the YMCA in order to provide the range of services and programs offered. The consent of the individual will be sort prior to any disclosure of personal or health information. Disclosure of personal and health information will be in accordance with the Australian Privacy Principles (APPs). We do not sell or share your information to other organisations and we comply with the requirements of the Privacy law in our marketing communications to you. Philanthropic support and marketing activities are important to the future development and growth of the YMCA and our programs. You may be contacted from time to time to seek such philanthropic support for the YMCA, or receive copies of marketing by mail or email. The opportunity to opt out of receipt of such materials will be made available with each communication. We may use video surveillance for security purposes and the footage will be used only by the YMCA and by the providers of our security services for security purposes. Surveillance videos are not used by the YMCA for other purposes and the footage is not publicly available. Surveillance cameras are not located in any bathrooms or change room facilities. The YMCA takes reasonable steps to ensure that personal information is accurate, complete and up to date whenever it is collected, used or disclosed. The YMCA takes reasonable steps to protect personal information from misuse, interference and loss, and from unauthorised access, modification or disclosure. Electronic personal and sensitive information is stored in a secure, Australian-based datacentre. Health information will be retained for a minimum of 7 years following the last occasion on which service was provided. Where information was collected while the individual was a child it shall be retained until the individual is 25 years old, or for 7 years whichever is the greater. Your personal information that is no longer required will be de-identified or destroyed. In many circumstances, however it will be kept for marketing purposes as you will have consented to that in writing with us. Where the YMCA receives unsolicited job applications these will usually be dealt with in accordance with the unsolicited personal information requirements of the Privacy Act. The community, members and clients through external promotional material brochures and websites. Access to personal information collected and stored by the YMCA will be administered according to the Australian Privacy Principles. The YMCA, upon completion of a 'Personal Information Request Form' may provide the person requesting access to their individual’s personal information. All requests are processed within 30 days of receipt of application at no charge. Although no fee will be charged for accessing your personal information or making a correction, the YMCA may charge a fee to retrieve and copy any material. Access to personal information for the purposes of viewing or correction will only be available to people requesting changes to their specific information or authorised carers/guardians with the consent of the person requesting the information. In accordance with the Health Records Act, all Health information collected by the YMCA will not be deleted. Amendments or alterations to the health information will be recorded on a separate form and attached to the original file. We will be entitled in some circumstances to refuse access and if we do so, we will consider whether a mutually agreed intermediary will allow sufficient access to meet your needs and ours. Wherever it is lawful and reasonable to do so, the YMCA provides an opportunity to remain anonymous. You do have the right to seek to deal with us anonymously or using a pseudonym, but in almost every circumstance it will not be practicable for us to deal with you or provide any services to you except for the most general responses to general enquiries, unless you identify yourself. The YMCA does not transfer any personal information overseas without the consent of the individual. We do not use overseas hosted IT services including servers and cloud services. the collection is required by law. The YMCA does not disclose this information without consent. In the event of a YMCA managed health service (i.e, medical suite, massage service, physiotherapy service, sports medicine service, health and fitness club, recreation centre) being transferred, sold, leased, or ceasing operation; the YMCA will enact appropriate notification and transfer procedures as directed by the Health Records Act. If requested by an individual the YMCA shall transfer their health information to a designated/ recognised health provider (i.e, medical suite, massage service, physiotherapy service, sports medicine service, health and fitness club, recreation centre, medical practitioners) free of charge on the completion of a "Personal Health InformationTransfer Form". The transfer of health information will be completed within 14 working days. By acquiring or using the YMCA services, products or facilities, individuals consent to the reasonable collection, use and disclosure of personal information. Consent may be directly implied in the completion of an application, membership or registration form or indirectly implied. Eg: YMCA requests personal details to forward program information and the customers supplies their name and address for this purpose. Formal complaints regarding the manner in which personal information is collected, used, or disclosed are to be handled in accordance to the "YMCA Complaints Handling Procedures". The YMCA collects personal or sensitive information through websites, e-commerce systems, etc. The YMCA protects websites through the use of encryption technology.